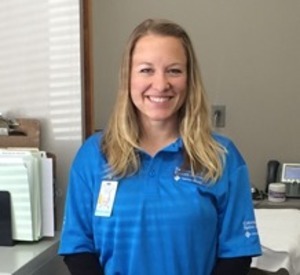 I chose the Physical Therapist Assistant program because of my own experience as a PT patient. I had both of my hips replaced from trauma that occurred while I was working as an EMT and fire fighter in 2008. I was in a wheelchair for 3 years and I had to learn how to walk again. I had only been out of my wheelchair for 7 months before I began the Physical Therapist Assistant program at Pima Medical Institute. My education at PMI prepared me to enter the PTA field ready to work. 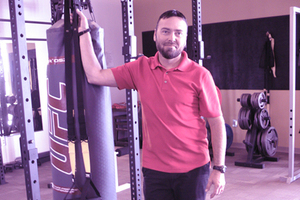 I am now employed at Socorro Physical Therapy, where I completed a seven-week rotation as a student. The Physical Therapist I work for now was my personal Physical Therapist after my surgery. 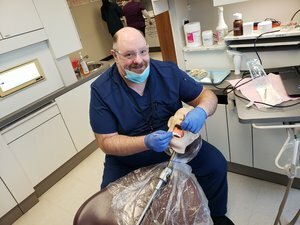 Since graduating, I work a very full schedule and I also have the opportunity to travel all over the United States to gain more training in my field. I would definitely recommend PMI for people who want to train in the medical field. If you work hard and study hard it will change your life, like it changed mine. When I was twelve, my parents brought me to the US because they wanted to protect me from the violence and killings happening in my hometown in Mexico. I knew no English and spent the first year learning to communicate. After high school I worked at a restaurant for two years where I was treated very poorly and paid less than minimum wage because they knew I was an immigrant. I met a wonderful man and married and we spent the next two years and all our money fixing my legal status. One day I saw a commercial for PMI and it made me want to show my parents that what we did was worth it. 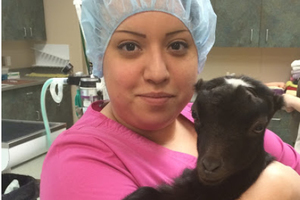 My love for animals drew me to sign up for the Veterinary Assistant program. My English still wasn't great; my instructors offered extra help and encouragement. It was difficult, but my classmates and I set up study groups and we helped each other. When I went for my interview for my externship program at the Humane Society, they were so impressed by me they offered me a position. 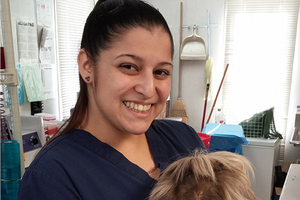 I am currently finishing my Veterinary Technician program while working at the Humane Society. My family had so little at the beginning and we all lived in a tiny apartment. My goal is to buy a house and to help my parents get their legal status to let them know I'm thankful for what they did for me. I am the only graduate from both my immediate and extended family. I'm so thankful for PMI! I was working in a motorcycle shop and trying to figure out what to do with my life. I told my manager that I really wanted to work with animals and she told me I should check out the Veterinary Assistant Program and Pima Medical Institute. I checked out Pima and enrolled. I loved coming to school every day and still do! I gained so much knowledge and hands on experience. The instructors made learning fun and they inspired me. I came home from the first day of my externship and thought to myself, this is where I was meant to be. I was hired right after graduation by my externship site. I have lots of friends there and I love what I do. I recently started PMI's Veterinary Technician Program and I am learning so much every day. My job helps me to prepare for VT and I feel more confident in my learning. My family has been so supportive. I never really did anything with my life until now, so it brings my parents to tears to see how far I've come. After VT I would like to continue my education and eventually end up in marine biology. Thank you Pima - for everything you've done for me! I enjoyed my job doing billing for a dental office, but didn't feel like there was room for me to grow. I wanted more. I'd always been interested in the nursing field but ended up getting married and having kids and just didn't have the opportunity to go to school. When my husband got his dream job and was able to support our family, I decided it was time for me to go to school to become a nurse. I chose PMI because of their reputation and because I could start immediately. I had a great experience as a student. Our instructors were strict and demanding, but looking back I realize they provided a professional environment and offered me a quality education. I am so thankful I chose PMI. I graduated on Friday, flew to our new home in York, Pennsylvania on Saturday, had a job interview on Monday, and was hired immediately. I am at Wellspan York Hospital, a level one trauma center, where I work on the telemetry unit with heart failure and stroke patients. I received a great education at PMI. The instructors truly cared about our education, our career goals and they cared about us. I was very well prepared to pass the NCLEX and start my career as a nurse. 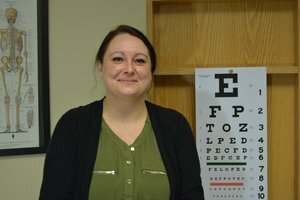 I've recently started on my bachelor's degree and I want to get experience in other areas of the hospital. This is just the beginning for me. Weary of working retail, I signed up for MA classes at a local college. Four days before completing the MA program, I had an emergency C section. When I returned, the school told me I'd been dropped from the program and my only option was to start over. I was discouraged and ready to give up when I saw their sign and stopped by Pima Medical Institute. They not only gave me credit for some of my classes, they helped with financial aid and made sure I knew they cared about me. The MA program was awesome from day one! My instructors understood their subject matter, communicated it well, and had experience in the field. It was such a contrast from my previous school where students were left to learn from each other. I was blown away by the teachers' commitment to making sure we understood the material. Both instructors and staff made it clear they were there to help us succeed! I really enjoyed the hands on blood draws so I asked for an externship at a clinical laboratory. From the beginning, it was clear my site was fully staffed and was not hiring. But, I looked for opportunities to learn and did my best. When I finished, surprisingly, they called and offered me a position. 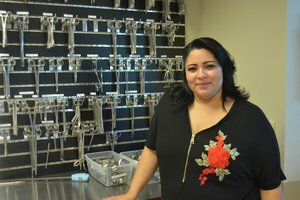 They explained they were creating a part-time position, so I wouldn't work for anyone else, until their new clinic opened and I could begin full-time. Thank you, PMI, for doing such a great job of preparing me for my new career! One day as I was delivering flowers I heard an advertisement on the radio for Pima Medical Institute. It caught my attention because the message was about the Sterile Processing Technician Program which is a hands-on position in the medical field with no patient contact. That appealed to me! I had been in the floral industry for 15 years, but was looking for a new opportunity increase my income and, in the process, help others. So, I enrolled in the program. I was skeptical at first, since it had been a long time since I'd been a student. But I did great! I had wonderful instructors and I really enjoyed the classes. While in the program we learned everything we needed to know about the various instruments needed for each type of surgery and how to prepare and clean them. After graduation, I was able to get a job as a Sterile Processing Technician at Banner Thunderbird Hospital. I really enjoy my job. Each day is a little different, as we work in decontamination or surgery preparation, where we ensure all the trays, instruments, and soft goods are ready for a particular surgery. I just love what I do! I actually wish I would have found this job a long time ago. I would definitely recommend this career to others. It's not super stressful, but it's important. It's a fun environment working with others and working to help others. I had been a stay at home mom for eleven years. During that time, my husband was in a car accident and I had to care for him. Everyone told me I should go into the medical field and care for people professionally. I really didn't have a career, so I began researching and found Pima Medical Institute. I enrolled in the Medical Assistant program with the eventual goal of becoming an RN. The MA content was somewhat easy for me, probably because I wanted it so badly. My classmates and I helped each other and the instructors were great, but I was quite nervous at the thought of working with real patients. 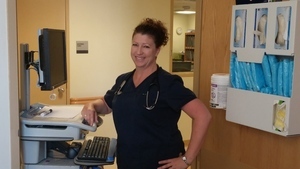 I started my externship and after about a week, I began to feel very comfortable. I am currently working at MultiCare Indigo Urgent Care as a Medical Assistant. I provide a wide range of services from breathing treatments to drawing blood to rooming patients. I enjoy knowing that every day is different - my job is not mundane or routine. My employer will be providing an in-house training program for me to learn to perform x-rays. I'm looking forward to learning having a new skill and a new experience. I am so glad I chose to come to PMI. I don't think I would have been as successful had I gone anywhere else. As an older student, it was important for me to feel comfortable in the classroom. The instructors made a difference at PMI because they care. I moved to the United States from the Philippines in 2011. I worked at a bait shop and as a nursing assistant, but I was uncertain and not my best self. I wanted to do more in the medical field. I would see commercials for Pima Medical Institute; the students looked so happy, and for a long time, a goal of mine was one day attending PMI. In 2017, I rearranged my work schedule so I could finally begin attending Pima Medical Institute. I was so thankful for the opportunity and met so many wonderful people. I faced challenges, like starting work at 6 am and working all day before attending evening classes. I also questioned whether I could still learn at my age. However, my instructors encouraged me, and my classmates became lifelong friends. PMI matched me with a perfect site for my externship, and I enjoyed every minute. I applied for and was offered jobs at four different organizations, some even included sign-on bonuses. I chose Swedish Ballard Primary Care where I assist an internal doctor and nurse practitioner. After just 45 days of employment, I was given a raise and encouraged to take on additional roles. As a result, I am considering continuing my education with PMI's online Health Care Administration program in order to someday become a clinical administrator. I am so happy, and I am able to help support my family in the Philippines. I am thankful for everyone at Pima. I would not be where I am today without their help and support. I have had a lot of dental work done in the past, including jaw surgery, which was scary and life changing. The dentists and dental hygienists were amazing, but it was the dental assistants who sat with me and provided comfort. I decided I wanted to be part of something that offered that kind of compassion. I had been working in retail and hadn't been in school for 12 years, so the program was definitely a challenge. A month before I started the Dental Assistant program, my brother passed away. It was the most difficult time in my life and it felt impossible to start something new. When I came to PMI, I felt like I had all the support in the world, even before they knew my situation. My instructors helped me believe I could be successful, and the lifelong friends I made while at PMI were encouraging and shared my journey. 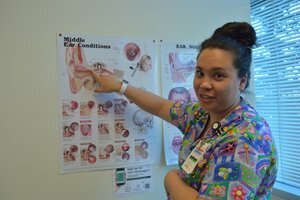 I did my externship at Community Health Center of Snohomish County. 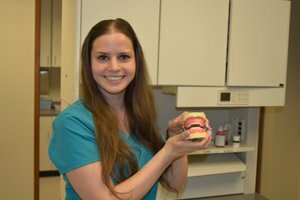 The advisors at PMI placed me there because they thought it would be a perfect fit, and it was - I was hired immediately as a dental assistant. 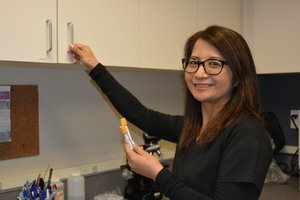 I am currently working and going back to school with the goal of becoming a Forensic Odontologist, which is someone who applies dental science for identification of unknown remains and bite marks. I know it's a unique field, but I want to be able to offer compassion and bring closure to families. I was at PMI during the most difficult time of my life, and I am incredibly thankful to PMI and everyone involved in my success.